More new kits from Dream in Color. 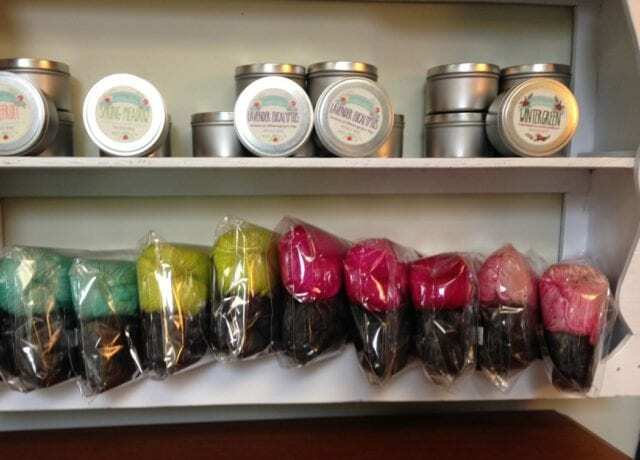 Our newest batch of Dream in Color Classy mini-skeins is hard to miss, in three large overflowing baskets right in front of you as you walk into the shop, a stack of “Technicolor Cowl” kits just beside them. 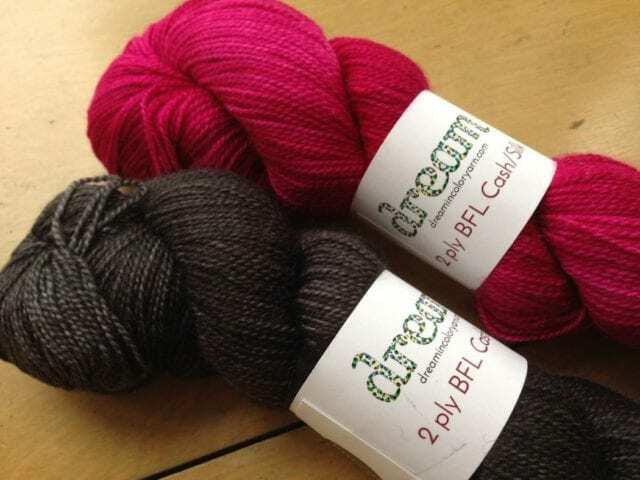 What you might not see as readily is another little display of new kits from Dream in Color, featuring two skeins of their 2ply BFL Cash/Silk. Veronica of Dream in Color put together these kits with Lynn Di Cristina’s “Cumberland & Carey Park” shawl in mind, though the pattern is not included. Each pair features a deep charcoal paired with a pop of bright color. Look for these kits in our Gifts section! See you at the shop.